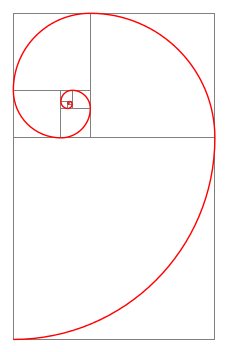 Golden spiral in TiKZ: how do I get the right shape and background? How do I reverse the growth direction? How do I set phi as the growth factor (which I don't think it is currently, just from looking at the resulting spiral)? How cumbersome would it be to add in the golden rectangles (i.e., would I have to draw each one individually, or is there some way to define a pattern)? Basically, the same approach as JLDiaz but using a recursive macro and letting tikz scopes and transformations do all the work. Improved a little the code to make easier the explanations, and to put the "golden ratio rectangles" in a background layer. Explanations below the picture. The picture is built recursively, from a fundamental building block, which is a square containing a red arc. 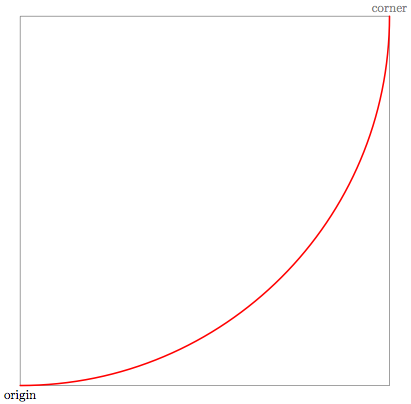 The expression +(45+\angle:\Side*\Sqrtwo) uses polar coordinates, relative to origin. The angle is 45 plus the "current angle" (initially zero), and the distance is the diagonal of the square whose side has \Side units of length. 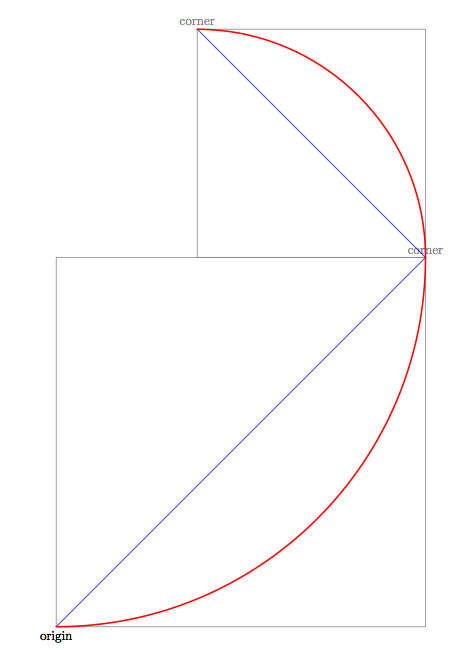 Its \Side reduced in the golden ratio. And so on, at each step the building block is reduced by the golden ratio, rotated 90 degrees, and shifted to the latest "corner". Just for fun with PSTricks. No recursively-invoked macro is used here. Instead, the next node is determined by the previous one in a loop. It is not recommended as creating the i-th node needs i iterations. How to draw vertical spiral using TiKZ? 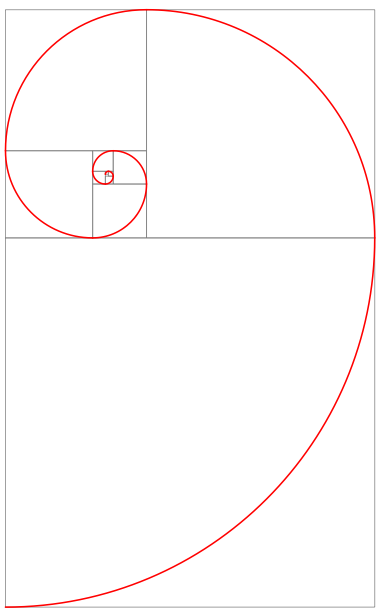 How draw this figure (spiral) in tikz?